A grieving mother in Worcestershire, U.K is now in a fight with the town to get her son’s headstone put back after it was removed because another family complained. 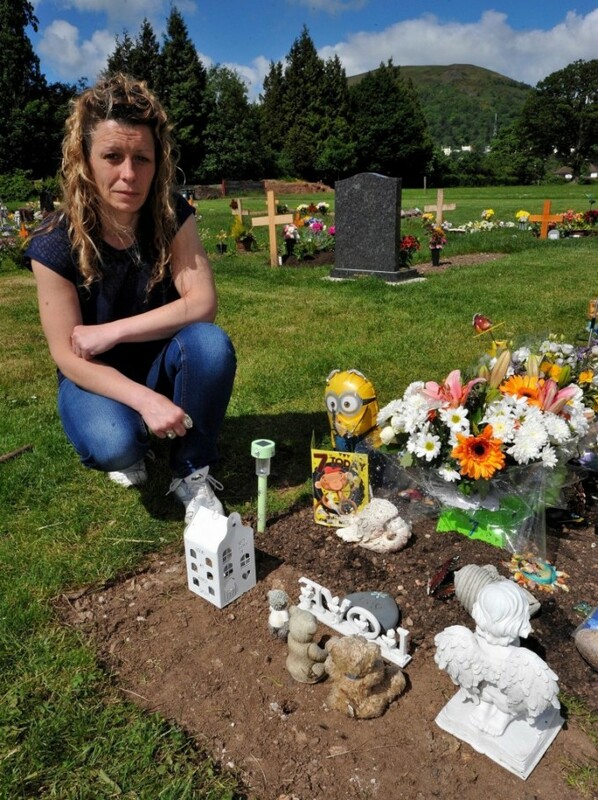 Jo Corbett-Weeks lost her 4-year-old son, Max Corbett-Gardener, when he died from complications of his epilepsy. To honor him, in the way she felt he deserved, she spent 3 years saving up for Max’s headstone. She saved $4,580 for a custom designed star-shaped stone with a teddy bear and a beautifully written tribute to Max. 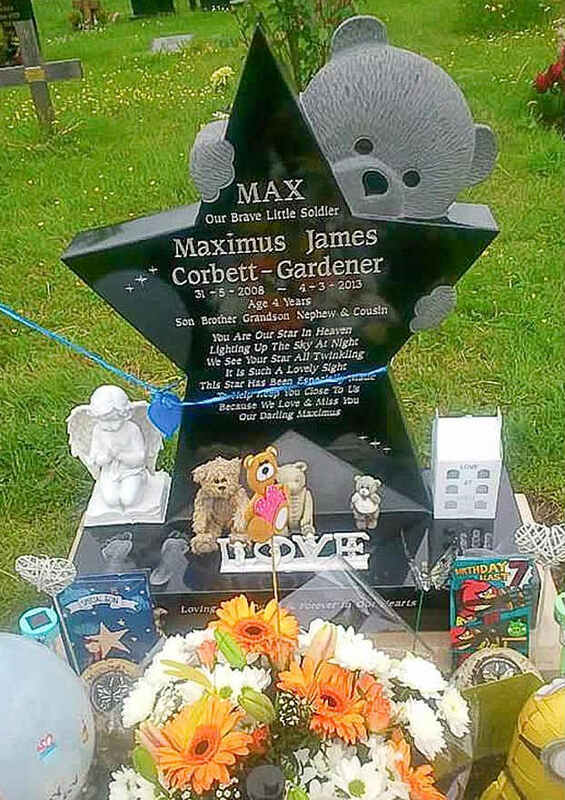 The stone was erected on what would have been Max’s 7th birthday. It would have been Max’s seventh birthday on the Sunday, and this was like a birthday present to him from me. I chose a star-shaped stone because I wanted something suitable for Max – something personal. But just 3 days later the stone was removed, without any notice to the family, after another family complained that it wasn’t appropriate for the solemn nature of a cemetary. The council in Worcestershire, U.K. agreed and said the stone wasn’t “in keeping” with the rest of the graves in Great Malvern Cemetery. The council puts the blame on the stonemason for not getting approval before putting the stone in place. Jo is now fighting to get Max’s stone put back. A petition was started online and has received messages of support from around the world for Max’s family.